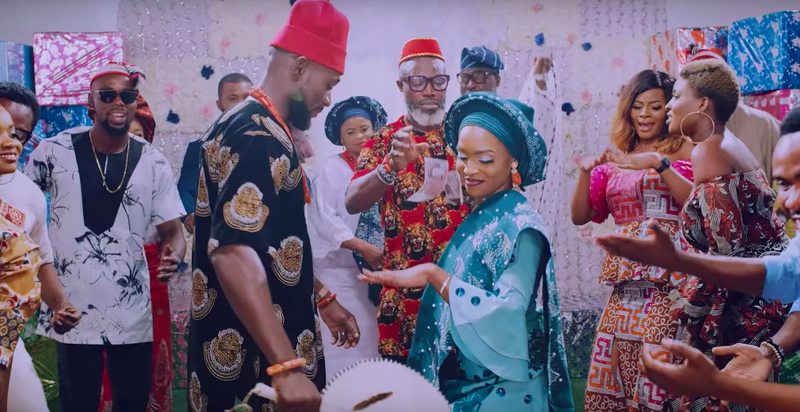 It’s time to update your wedding playlist as Rudeboy Records presents the official music video for Rudeboy’s song which features the kings of indigenous rap – Penthauze rapper Phyno and YBNL’s Olamide titled “Double Double.” The music video which was shot and directed by Unlimited LA is officially the first major wedding song of 2019. Watching the video would definitely remind you of the days when P-Square rolled out love songs as a team. From Ifunnaya to Ifeoma, No One Like You and Beautiful Onyinye ft. Rick Ross and more, the duo definitely warmed our hearts with their lyrical content and dance moves. And thanks to this new release we can relive those feelings. 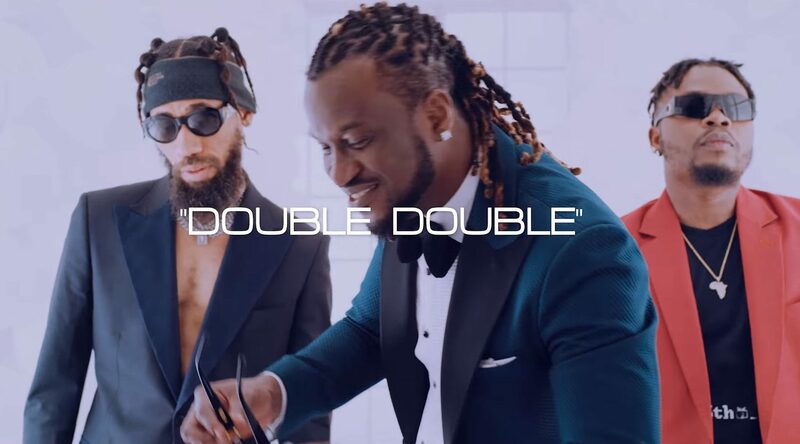 The Double Double video is set around a traditional wedding ceremony with cameo appearances by Instagram sensation/comic actor, Broda Shaggi and Paul Okoye’s 3 kids Andre, Nadia and Nathan. From bowls of onions to live goats and chickens, the couple at the wedding are seen receiving gifts in double proportions. The video celebrates a United Nigeria through the inter-marriage of the of the couple. The beauty of the Igbo and Yoruba traditional attires and culture were also celebrated. During each of their verses, Phyno and Olamide showed us how culturally rich and colourful Nigeria is as traditional dancers from the Igbo and Yoruba tribes celebrate the diversity that makes Nigeria. You’ll agree this is quite a culturally-rich love song that is ideal for a wedding reception.